After the leftover turkey is put away and the last of the pumpkin pie cleaned from the pan, it’s time to get in the spirit of the season. Make your lists and check them twice, Black Friday is the ultimate opportunity to grab gifts for everyone naughty and nice. 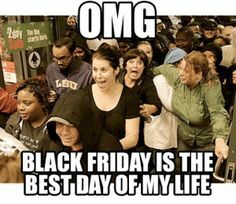 In fact, NBC San Diego predicts San Diego shoppers to spend $553,000 on Friday with the average resident spending $163. At 3 Blind Mice we’re spreading the holiday cheer by giving you the 411 on where to snag the best Black Friday deals in San Diego, as well as Small Business Saturday and Cyber Monday! Enjoy and be careful out there shoppers! And for our shameless promotion you can treat your home with a present in our own window treatment promotions now through December 4th with the biggest sale we’ve ever done on window coverings. Our shopping list includes small and local San Diego businesses as we promote people to shop local rather than go to the big box stores like Walmart, Target, or Best Buy. After Thanksgiving dinner, take a quick nap then prepare yourself for some shopping with the best Black Friday deals in San Diego. Swoon is your go to boutique for trendy fashion at an affordable price. The Hard Rock Hotel San Diego is offering the lowest rates of the year with surprise upgrades to Rockstar Suites for 5 lucky guests! Their online sale starts on Black Friday and ends on Cyber Monday. Looking to gift or take a trip this holiday season? With over 20 years of experience, Coastal Medical Aesthetics is the expert to turn to when considering the latest state of the art aesthetic procedures for skin care and medical aesthetics. For the best discounts on bunk beds and loft beds, take a look at local deals for Orange County, Los Angeles and San Diego residents. Head over to The Carlsbad Outlets. They open at midnight! Shop designer apparel, bags, accessories, and jewelry for less. Be on the lookout for deals even lower than traditional outlet discounts during their Black Friday promotions. Fashion Valley Mall opens at midnight! With hundreds of stores offering a plethora of deals, you can shop for variety of clothing, accessories, and more. Discover discounts and deals on gifts for all of your family and friends- maybe even for yourself! WestField UTC Malls start opening their doors at midnight with discounts and deals galore! Pick up new clothes and more for the entire family. Show your support for local San Diego businesses by shopping Small Business Saturday on November 29th! We suggest you plan a trip to communities like North Park or La Jolla to wander among boutiques and art shops to find unique gifts for your family this holiday season. You can even find treats for your furry, four-legged friends! Muttropolis, La Jolla Swim & Sport, and Girard Avenue Collection are just three of the many businesses participating. Do you live further south near the beach? Ocean Beach boasts a host of shops with gifts for even the hardest people to buy for. Take a stroll by the beach and grab a bite at one of many local restaurants to fuel your shopping endeavors. The shop is filled with hand-picked gift items from crafts-people and small companies from around the world. Hi Sweetheart prides itself on its unique blend of distinctive jewelry, fun & functional kitchenware, letter-pressed stationery, delightful books, lovely candles, and darling baby gifts. Spa Kingston is the premier stop for all your skin care & pamper needs. Specializing in cutting edge products and treatments, with over 10 years of experience. In addition to these deals, they’ll have “Gift Tables” to help you find gifts for the scuba diver in your life who already have everything (or yourself)! Each product has been carefully chosen to fit our high standards of quality and design to ensure only the best for your furry companions. Bicycles new and used, service, accessories and more! The Studio Door is an arts incubator dedicated to the creative marketplace and the promotion of contemporary artists. The core of our activities are to assist artists with the business side of selling art as well as creating opportunities to bring greater attention to San Diego’s visual artists. Shop Small is a movement encouraging people to shop at small businesses; millions of individuals, businesses, and communities have embraced it nationwide. Celebrated on the Saturday after Thanksgiving this year’s event will be on November 28th, 2015. Use the #SmallBusinessSaturday and #shopsmall hashtag on social media to show your support and remind others to shop small to support their local communities. Prefer not to brave the crowds of Black Friday? There are plenty of Cyber Monday deals in San Diego you can easily snag from the comfort of your own couch. Besides the traditional Amazon.com and eBay deals, many online retailers offer steep discounts on apparel, gifts, home items, and more. Plan a getaway to Paradise Point Resort and save when you book your stay online. This local San Diego resort is offering deals online from Black Friday through Cyber Monday. Renee Stone, LMT, NCTMB offers Services for the treatment of several conditions including low back pain, achilles tendinitis, sciatica, thoracic outlet syndrome and more with clinical and therapeutic massage. Forget time constraints on many Black Friday deals in San Diego! With our Shop-At-Home Service you can focus on what matters this Thanksgiving and spend time with your family and friends. Improve your home’s decor any time between Thanksgiving and December 4th to receive the best Black Friday deals in San Diego to outfit your home with new San Diego window coverings. We’re offering our best offers on window treatments now through December 4th! Receive a FREE set of installed drapery panels with hardware when you purchase $3,500 or more in window treatments (any style). We can not stress enough the importance of shopping in your area with socially responsible companies. At 3 Blind Mice, giving back to the community is a large part of our culture and we have built homes in Mexico with Amor Ministries, set up food depositories for Thanksgiving, worked with Homefront San Diego, and are running a refer a friend program to work with Feeding America. Please help us Feed a Family this holiday season!